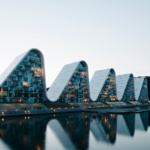 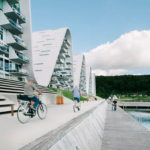 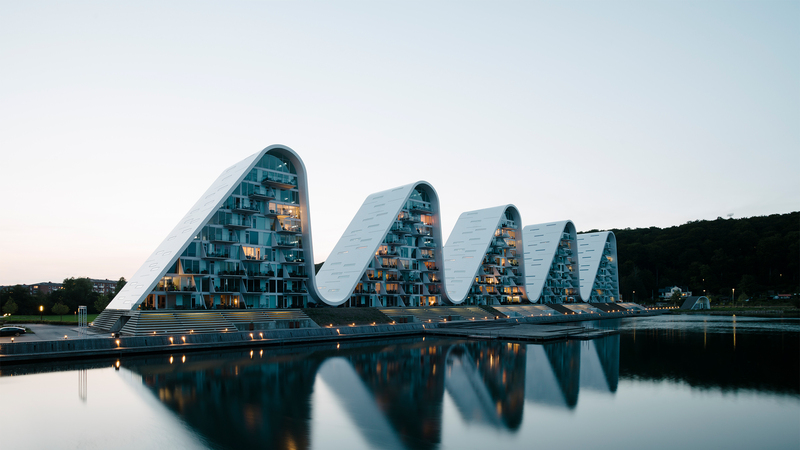 Copenhagen-based firm Henning Larsen Architects recently finalized The Wave apartment complex in Vejle, Denmark, that features five interconnected, undulating towers that reflect in the fjord beside it. 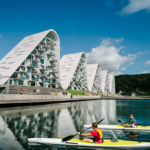 Its unique form is inspired by the dramatic landscape of the area, known for its deep inlets and steep, rolling hills, which are uncommon in Denmark. 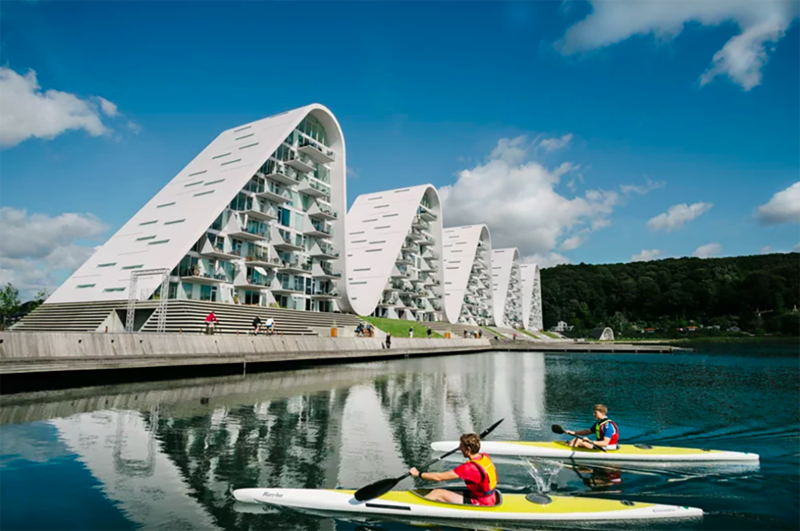 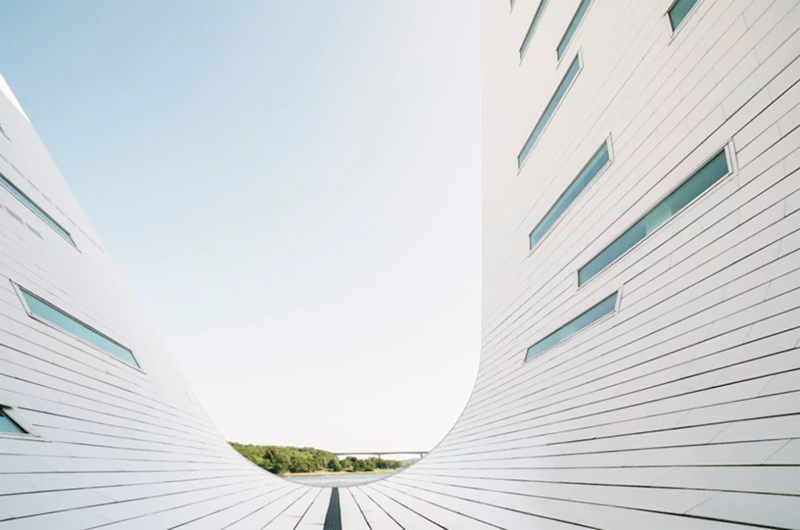 The eye-catching Wave, which stands out from the ubiquitous office buildings and historic, red brick buildings of downtown Vejle, serves as a distinctive sculptural landmark of the city. 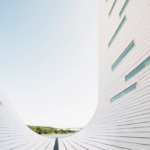 Construction of the 150,000-square-foot, 100-unit complex began over a decade ago, but it was stalled due to the 2008 global financial crisis. 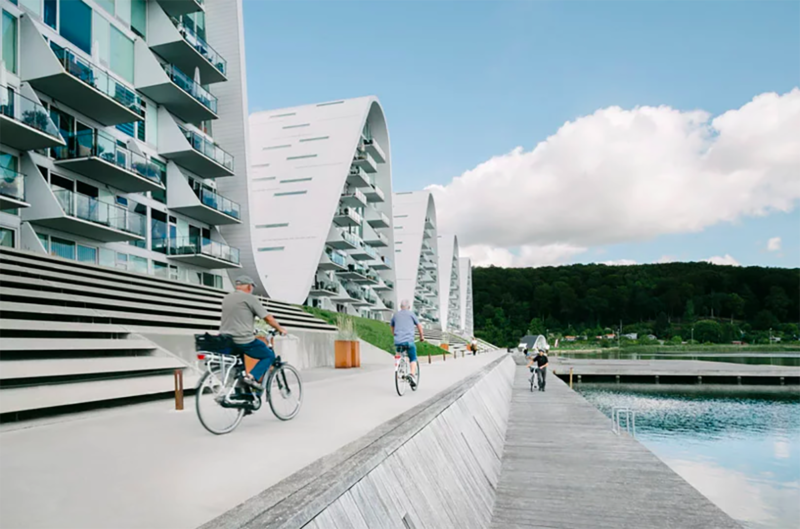 After a tumultuous 11 years, the rippling building is complete and has garnered widespread attention for its architectural tribute to Vejle’s local geography and cultural heritage. 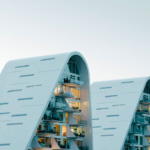 Even before its completion, the towers were named Residential Building of the Year by Building in 2009 and won an ABB Leaf Award and Prestigious Civic Trust Award in 2012 and 2013, respectively. 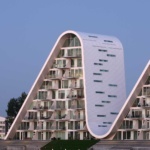 Unlike the pace of construction, the apartment units are selling at a breakneck pace. 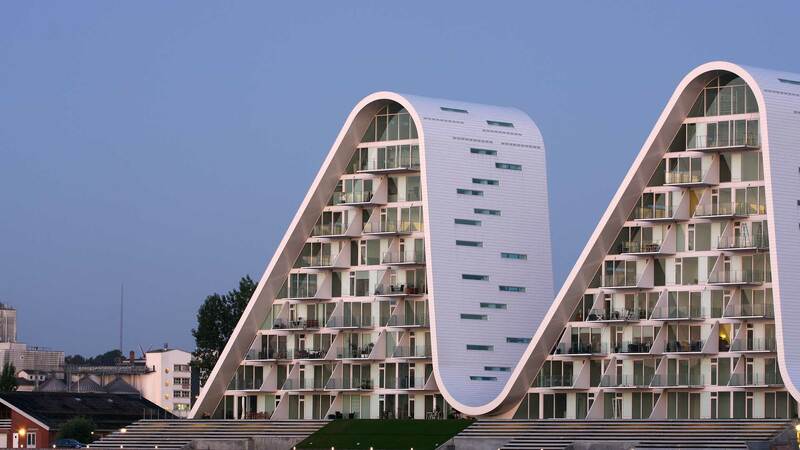 According to the building’s website, three of the “waves” are already completely sold out, and only seven units remain overall. 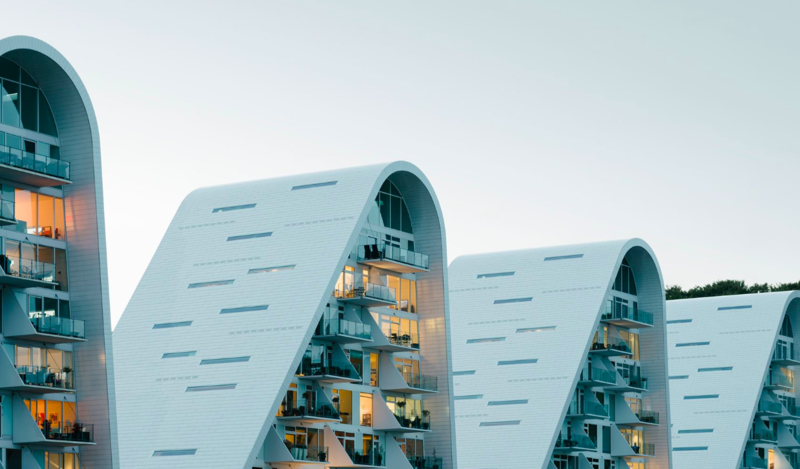 A 2,700-square-foot duplex on the top floor is still available, with an asking price of roughly $2 million.